In addition to being the senior editor here at Twin Cities Geek, I’m also a book editor. 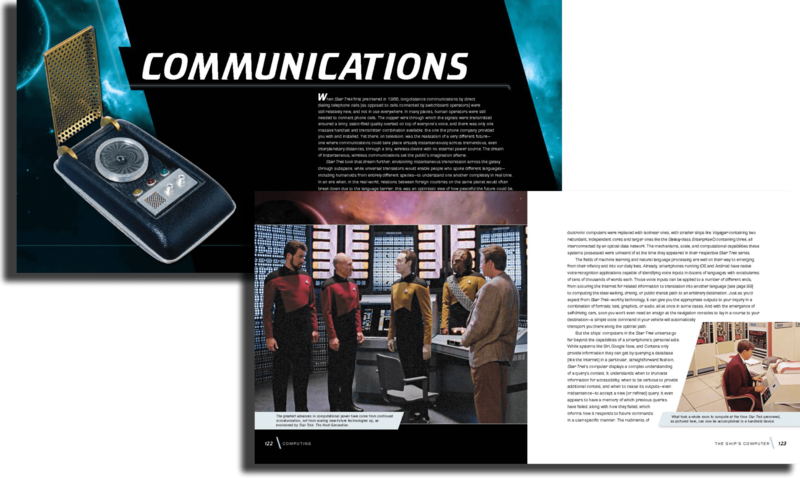 Sometimes those books are geeky, too, which is the case with Treknology: The Science of Star Trek from Tricorders to Warp Drive—a book about the real-life science behind Star Trek technology. After realizing there was nothing like it already out there, I acquired Treknology for the Quarto Group in Minneapolis with astrophysicist and bona fide geek Ethan Siegel to write it. Some two years of approvals and book creation later, I’m excited for it to officially come out on October 15, 2017. To celebrate, Quarto and Twin Cities Geek are giving away 2 copies of Treknology! 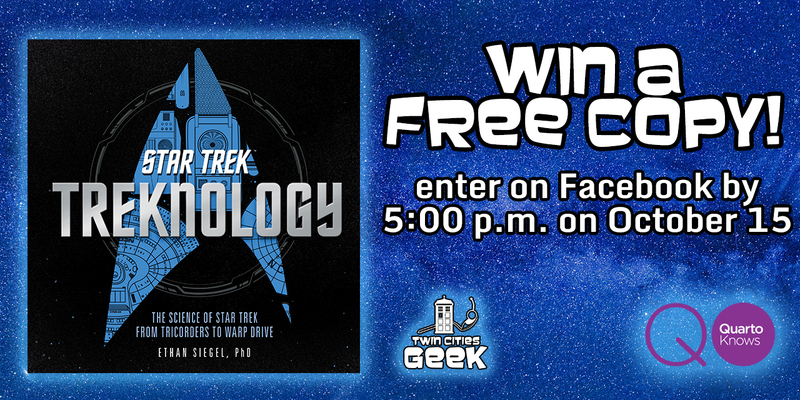 To enter, all you have to do is like Twin Cities Geek Facebook page and comment on our giveaway post naming your favorite piece of technology from the Star Trek universe. We’ll randomly choose 2 winners and send each of them a copy of the book! So whether it’s the holodeck, the phaser, or the impulse engine, tell us your favorite Trek tech and you could win! No purchase necessary. Total number of prizes to be given away is 2 (retail value $30 each). Any other expenses incurred as a result of winning this prize, including income taxes, are the sole responsibility of the winner. Fulfillment and shipping courtesy of the Quarto Group; prize shipping address must be within the United States. How to Enter: Like the Twin Cities Geek Facebook page (http://www.facebook.com/TwinCitiesGeek) and comment on the Treknology giveaway post naming your favorite piece of technology from the Star Trek universe. Only one comment per person and only top-level comments will be counted, not nested replies. This promotion is in no way sponsored, endorsed or administered by, or associated with Facebook. By entering, you understand that you are providing your information to Twin Cities Geek and not to Facebook. Selection and Notification of Winner: Each eligible comment will be assigned a number in ascending order based on the order in which they were posted. A number will then be chosen by means of a random number generator, and the user who posted the comment corresponding to that number will be deemed the winner. Odds of winning are dependent on the number of entries received. Eligibility: One entry per person. Void where prohibited by law. In order for an entry to be counted, a user must like the designated Facebook page and comment on the giveaway post by 5:00 p.m. Central time on October 15, 2017. The comment must follow the giveaway prompt as described above. Current Twin Cities Geek contributors and editors are not eligible for entry.